Ph.D. student Alireza Gharagozlou won the Student Educational Award at the ASBPA National Coastal Conference 2018. 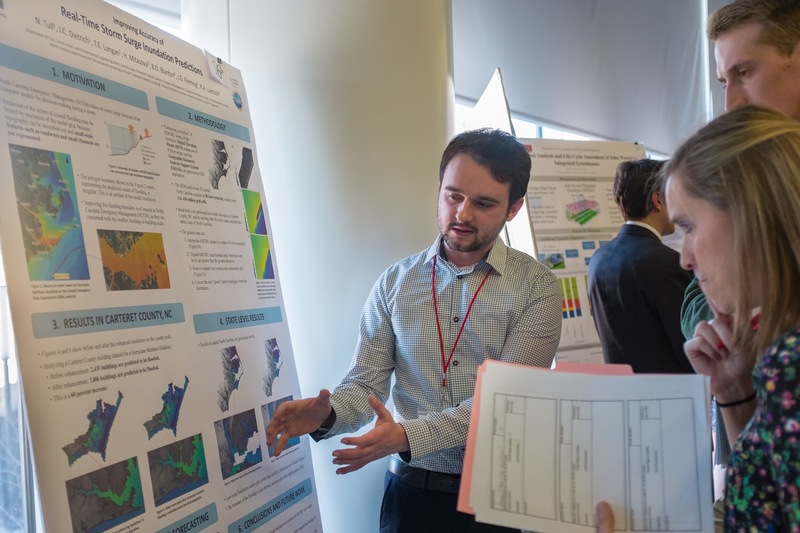 This award is given annually to an undergraduate or graduate student who, through his or her research, is furthering the state of the science of coastal systems as it relates to the goals and mission of the ASBPA. Congrats to Alireza! Alireza accepts the Student Educational Award during the awards luncheon at the ASBPA National Coastal Conference. 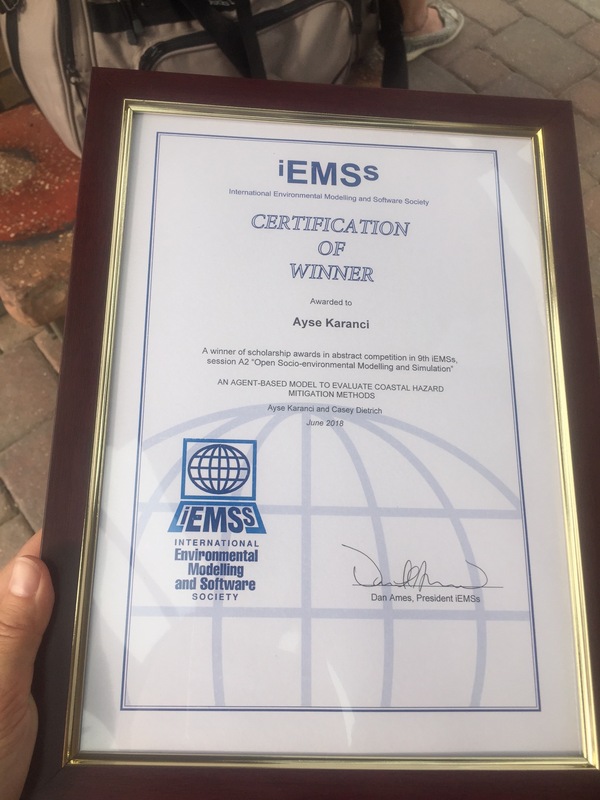 Although Ayse was never an official member of the CCHT, she did contribute to our Risk Analytics Discovery Environment (RADE) project. Her presentation was related to that project, in which she developed containers for her models for coastal erosion and decision-making in coastal households. We are very proud of her good work. Casey Dietrich received the NC State Outstanding Teacher Award, which recognizes excellence in teaching at all levels across the university. Faculty members are nominated by their departments, and then finalists are recommended by their colleges. During 2017-2018, the award was given to 17 instructors, or less than 1 per 100 faculty members at NC State. Recipients of the Outstanding Teacher Award become members of the Academy of Outstanding Teachers for as long as they remain NC State faculty. Recipients are recognized at the Teaching Awards Ceremony in the Spring, and their names are published in the NC State Bulletin and Commencement Program. This is a great honor, and it reflects Casey’s hard work to implement active, team-based learning in the undergraduate course in fluid mechanics, as well as to establish a set of graduate courses in coastal engineering. He has enjoyed working with students at all levels at NC State. 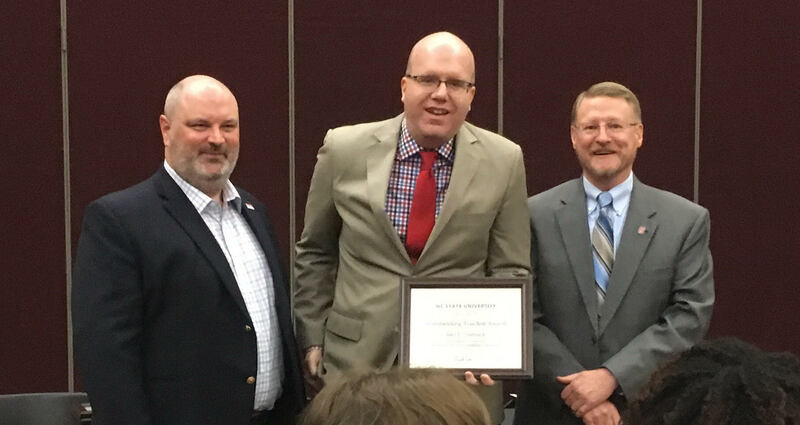 Casey Dietrich accepts the award at the NC State Teaching Awards Ceremony, with (left) Rudi Seracino, Professor and Associate Head for Undergraduate Programs, and (right) Duane Larick, Senior Vice Provost for Academic Strategy and Resource Management. MS student Nelson Tull won the Student Poster Award at the ASBPA National Coastal Conference 2017. This award is chosen by attendees from among all of the student posters and is reflective of both compelling research activities and excellent presentation skills. 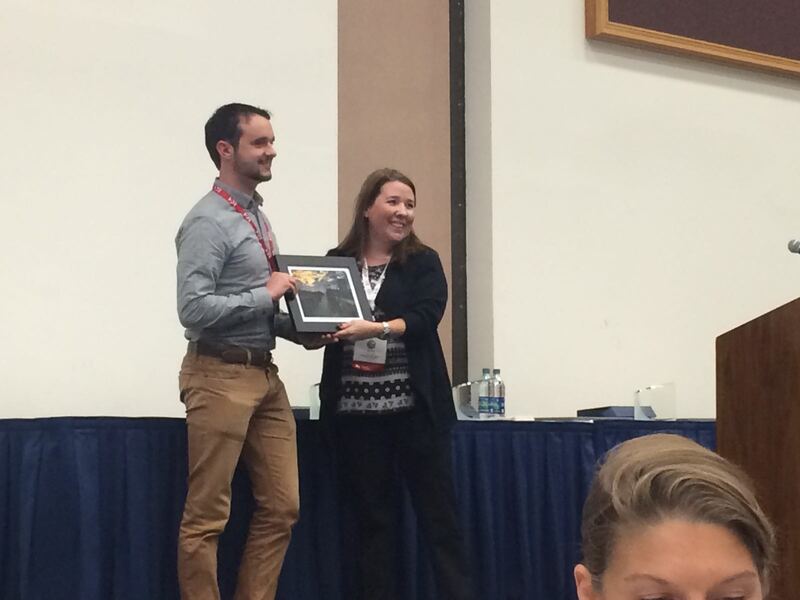 Nelson Tull accepts the Student Poster Award during the awards luncheon at the ASBPA National Coastal Conference.